This Jalapeño Popper Chicken Salad is a flavorful, keto-friendly meal option that puts a fun spin on traditional jalapeño poppers! 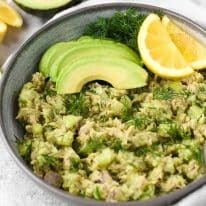 It is so easy to whip together and is perfect for meal prepping for your low-carb lunch menu for those weekdays you’re in a hurry! This Jalapeño Popper Chicken Salad recipe has been on a regular rotation in our household! It takes under an hour to prepare and makes enough for four servings, so it’s a perfect weekday dinner or make-ahead workday lunch option. 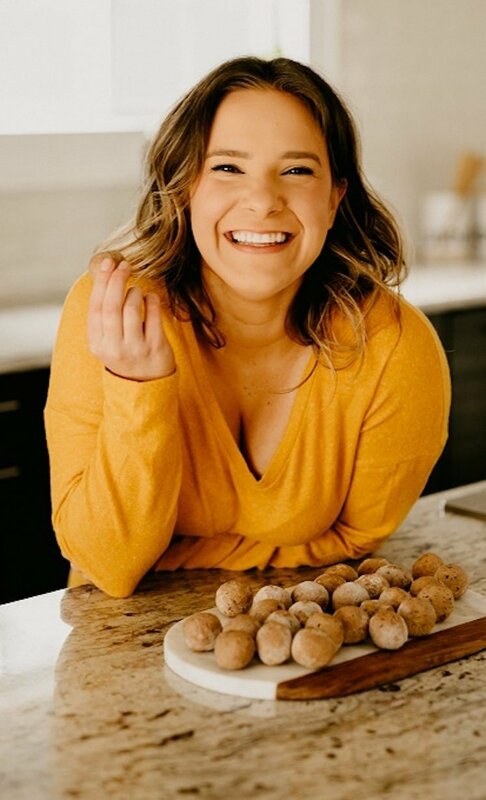 I have been prepping this recipe on Sundays when I do my weekly meal prep. It takes under an hour to make and is ready for Ryan to take to work for weekday lunches. Ryan has said that just one serving of this Jalapeño Popper Chicken Salad keeps him completely satiated for hours. Late-afternoon snacking is no longer necessary, making for sustained energy and less time thinking about what to eat next. Those facts alone make for a less stressful, more enjoyable work day! 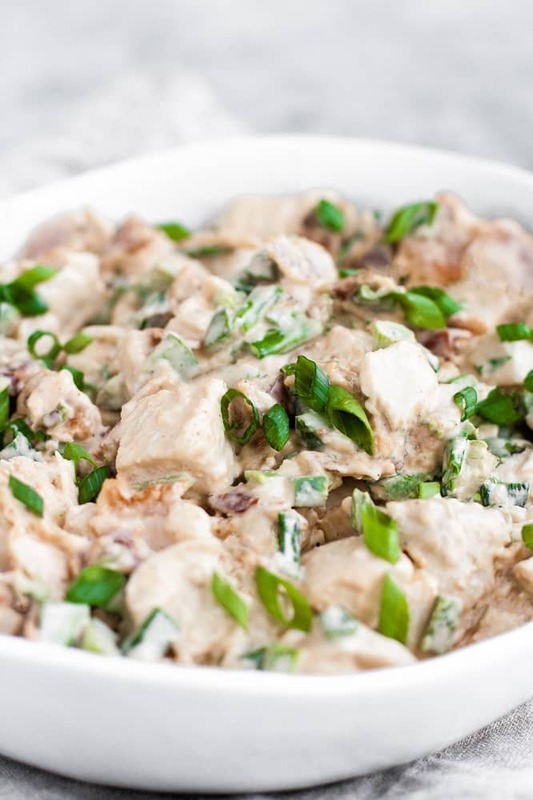 Keto/Low-Carb: Only 1 gram of net carbs in one serving of this chicken salad. 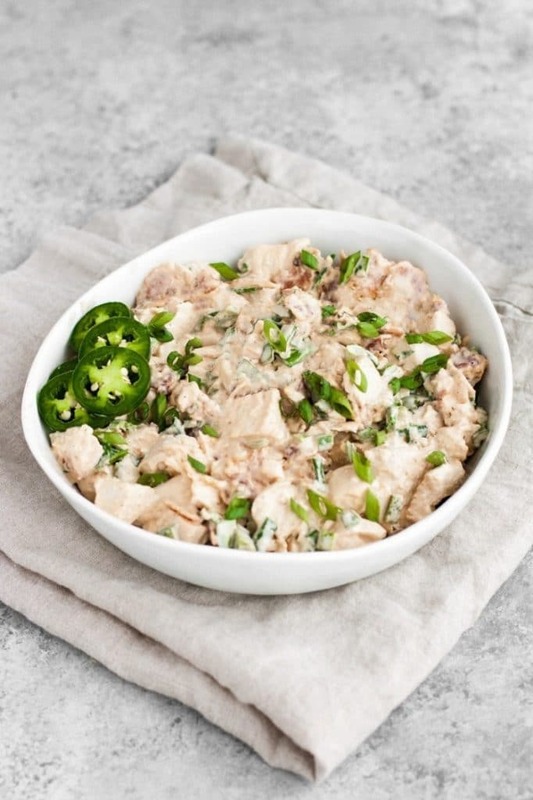 Whole30/Paleo: This Jalapeño Popper Chicken Salad is free from dairy, grains, gluten, added-sugar, and soy. 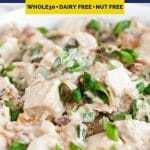 Nut-Free: This recipe is made without any nut products and is a safe meal option for those with a nut allergy or nut intolerance. 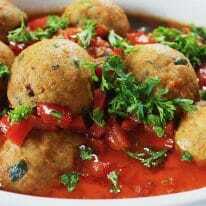 Coconut-Free: Free from any coconut products, this recipe is a great dinner option for those who cannot consume coconut. Dairy-Free/Egg-Free: Made with avocado oil mayonnaise, this recipe is dairy- and egg-free. Gluten-Free/Grain-Free: This recipe is both gluten-free and grain-free. With only 1 gram net carbs per serving, this recipe is perfect for those following a low-carb, ketogenic diet. 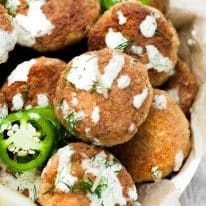 This recipe is keto, low-carb, Whole30-compliant, paleo, nut-free, coconut-free, dairy-free, egg-free, gluten-free, grain-free, and sugar-free. Find more Real Balanced keto, low-carb, and paleo meal recipes by browsing through this dinner recipes. 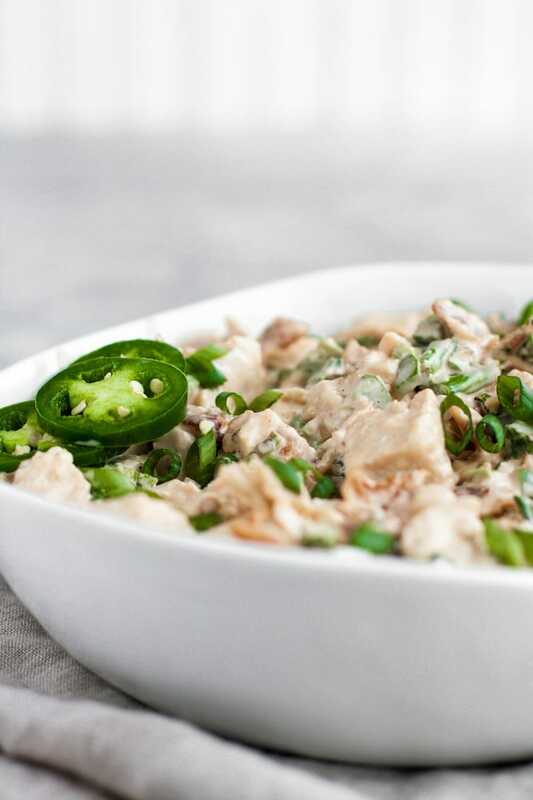 This Jalapeño Popper Chicken Salad is a delicious keto-friendly, Whole30-compliant meal option! 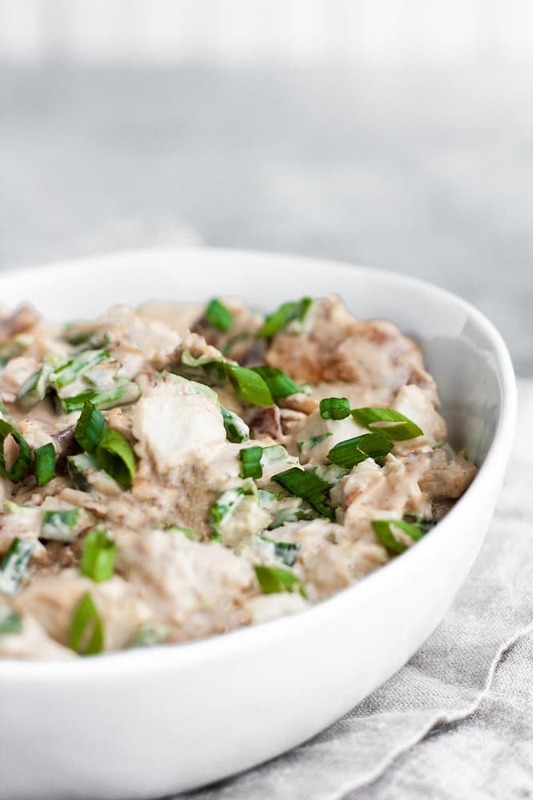 This recipe is keto, low-carb, Whole30-compliant, paleo, nut-free, coconut-free, dairy-free, egg-free, gluten-free, grain-free, sugar-free, and only 1g net carbs per serving! Preheat oven to 450 degrees and line baking tray with parchment paper or foil. Cook chicken breast until internal temperature reaches 165 degrees, about 15-18 minutes. Remove chicken from oven, transfer to bowl, and refrigerate to chill. If baking bacon in the oven, reduce oven temperature to 425 degrees. Cook bacon in oven (20-25 minutes at 425 degrees, depending on thickness of bacon) or on stovetop until crispy. Transfer cooked bacon to paper towel-lined plated to remove excess grease. Turn on oven broiler and broil jalapeños until slightly charred, about 3 minutes. Remove jalapeños from oven and allow to cool. Roughly chop jalapeños, de-seeding based on your spice preferences. Cube cooked chicken breast and crumble cooked bacon. Add all ingredients to large mixing bowl and mix until well-combined. Thank you, CJ! That was my error! For egg-free, sour cream can be used as a 1:1 sub. Thanks again!